Motorola's Moto Mods have been the most innovative thing in the smartphone universe in almost a decade, but is that enough? There was one slide at Motorola’s press event today that caught my eye. It was divided in two: one side said last decade, with photos from Nokia to the Moto Razr. The other side said this decade, and had smartphones all of which looked the same, including the iPhone. That pretty much sums up the smartphone journey so far. Over the past few years, improvements have been incremental, and there’s little reason to really buy a shiny new smartphone for your old one. Even Motorola itself has been a victim of saturation: until the Moto Z. If I sound biased right now, it’s because the tech enthusiast in me is slightly biased. I have used it, but I do not own a Moto Z, nor do I think it is the best smartphone to buy today. However, I do think it is the most innovative. As has been the story time and again, Motorola took a step few dared to. Will the Moto Z work? I sure hope it does. Is it perfect, I would argue it isn’t. Moto Mods are indeed too expensive right now. I’ve personally not bought a Moto Z because of the expense involved. Few of us can hope to spend Rs. 40,000 on a phone and then buy an accessory worth Rs. 20,000. In fact, to be perfectly honest, there is no Moto Mod that I really want right now. And that’s where Motorola’s event in Bangalore today comes in. The Moto Collide hackathon was kicked off in India. It is part of Lenovo’s million dollar program to get developers excited about Moto Mods. Much like any other hackathon, Moto Collide has a set goal. It is to build mods. Motorola has been quite candid in admitting that it doesn’t have ideas for all the mods. However, sources who I cannot name tell me that the company has a roadmap of one or two in-house mods every quarter. In my book, that’s a respectable start, if not an absolutely perfect one. The Moto Collide hackathon is meant to do everything that the company alone cannot. This is not an Apple device after all. So third party developers aren’t quite flocking to make accessories at the moment. Motorola says sales of the Moto Z have been increasing, however, the company hasn’t given out numbers yet. However, a new initiative needs business efforts to go with it. In the hackathon, Motorola will take inputs from developers, some of whom are just college students, working on final year projects right now (more on that, later). 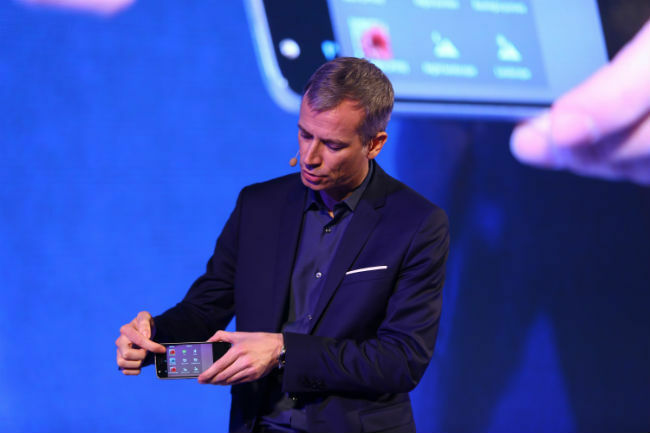 Moto gave them access to its technical team and two of its hardware partners, Huaqin and Goerteke. The two companies have been OEM partners for Lenovo for a while now. The goal is to find and support a good idea. If you have the software, these hardware partners can help acquire the hardware. If you have the hardware, the technical team can help you identify and solve software challenges. The final year engineering student explained to the technical team that his final year project was a blood glucose monitor. He wanted to adapt it to the Moto Mods program. The problem? It’s built on Arduino. Can he adapt it? Some developer jargon later, we (the Motorola technical person) established that he can. Similarly, another budding developer said his concept was coded on Python. Will that work with the Moto Mods? Unfortunately, this one has more work to do. The APK for the app that’ll go with his Mod can indeed be coded on Python, but the firmware needs a different approach, possibly a language like C++. Developers whose ideas qualify for Motorola’s support, will be given access to the Moto Mods MDK to build their own mods. The winners of the hackathon will receive aid from Motorola to take their initiative forward. Motorola won’t say who’s building the mods at the moment, but the company has run hackathons in other countries, including the US. In fact, Motorola says its Indigogo campaign already has 5-6 finalists from India, among others. Further, a hackathon has already been concluded in the US, with the winners working on some kind of memory Mod for the Moto Z devices. Motorola won’t talk about the Mods in production, keeping them secret for business reasons right now. However, it did confirm that ideas for E-Ink displays, game controllers, even advanced robotics, are in the works at the moment. The company said it is open to all sorts of partnerships right now. It can manufacture the mods for a partner, and even handle distribution. But more on that later. On the conceptual level, the Moto Mods are revolutionary. Motorola had confirmed earlier that even the SoC of the Moto Z and Moto Z Play can be swapped using a mod, theoretically. In fact, theoretically, you can even have a mod on a mod. This means if you do change the SoC with a mod, that mod itself can have another set of magnetic connectors, which can then be used to fit another mod on top of it. Motorola really wants us to believe that the possibilities are endless, and it just may be so. 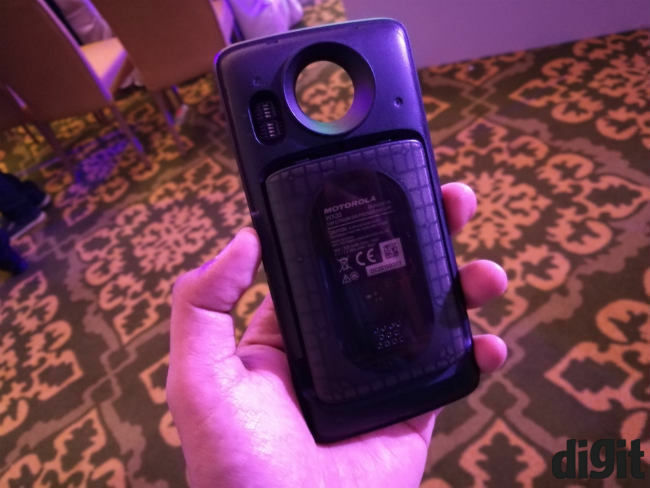 We have seen the Moto Mods work on the Snapdragon 820 and 625, on the Moto Z and Moto Z Play. A big question is whether the concept is possible in weaker phones, powered by a Snapdragon 430 or 415. That’s a question Motorola has not yet answered satisfactorily, but theoretically speaking, it should be possible, even if the amount of power and hence the actual use-cases are smaller. The Indian hackathon had some interesting ideas. Unfortunately, the actual event will be held in secret, so we won’t get to see the winning Mods till they actually come to market. The aforementioned college student’s Mod aims to measure a person’s blood glucose and monitor the same using his/her phone. Another mod idea was for a touch-based game controller, with latencies as low as 100 milliseconds. Lastly, a young developer expressed interest in putting AI capabilities via a mod. I didn’t hear much about this one, but Motorola’s technical team confirmed that the idea could indeed be implemented. I must admit, the ideas, though innovative, don’t really make me want to jump at them, but hey, a million dollar program should come up with better, right? Motorola says its Mods have a 40% attach rate in the US right now, with the JBL Soundboost at 13.5 hours of average usage per week. The Incipio battery mods are understandably used even more. Such numbers do look promising, for Mods that aren’t quite perfect, yet. Aside from making the Moto Z and Moto Z Play, Motorola says it’s open to all kinds of partnerships right now. The company plans to launch Moto Mod stores, hopefully by March or April this year, which will house all the Mods that are certified by it. Speaking of certification, Motorola will also be involved in that process. A self certification process has been put in place, which will be verified by Motorola for Mods to be certified. However, third parties can still develop mods, but much like the Made for Apple program, Motorola will wash its hands off such third party Mods. Next comes the support side of things. While support for Moto Mods will be up to the companies making them, Motorola said it will at least be in a position to police its partners. However, the actual support will not be in the hands of Motorola, unless a Moto Z or Moto Z Play is at fault. That said, support for "Mods commercialised by Motorola", like the Hasselblad True Zoom, JBL Soudboost or the Incipio battery mods, will be undertaken by Motorola itself. 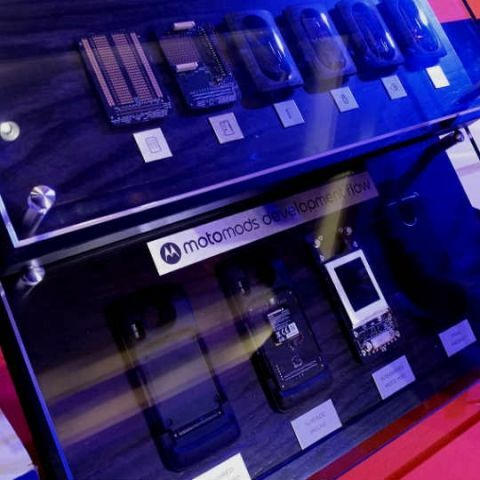 Motorola reiterated that it is committed to the development of the modular design in future. However, its greatest challenge is obviously in feasibility. Based on the Moto Collide kick-off event I just attended, enthusiasts are truly interested in development. However, third parties will only develop mods if there are real returns possible. Will Motorola ever be able to sell 100 million units of the Moto Z every year? The biased enthusiast in me sure hopes so, but even I haven’t yet bought one. Furthermore, Motorola admitted that it’s not looking at the price game at the moment. Right now, the question is technology, to provide enough power for the Mods, to ensure that things work seamlessly. The company says that adding the connectors will indeed add to costs and hence price, which means it’ll be a while, if ever, till we see a modular Moto G branded phone. Some would argue, though, that Rs. 24,999 for the Moto Z Play is perfectly reasonable for such a phone. Lastly, we all wax eloquent about the saturation in the smartphone market, but is it only because companies don’t innovate? That surely isn’t the case. There are roadblocks from the processing side, from the lack of advancement in battery tech and more. More importantly, are consumers really paying for innovation any more? That’s a tough one to answer. The modular concept of the Moto Z and Z Play are admittedly at a nascent stage right now, and it’s good to see events like Moto Collide. 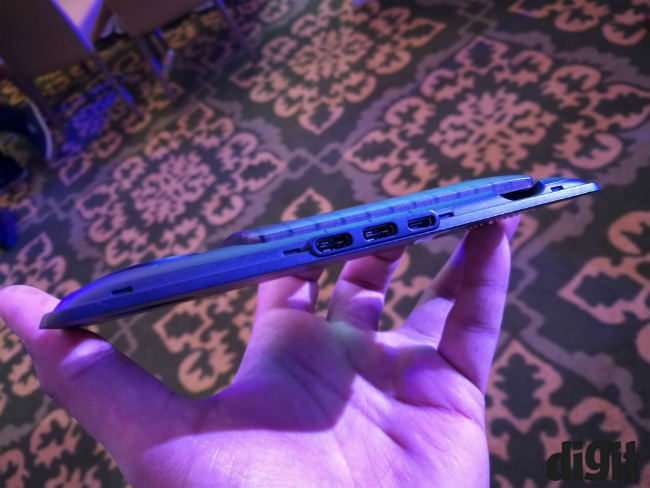 It shows that Motorola and Lenovo are following through with claims they made when these phones were first launched. It’s an uphill battle, but one that I personally do hope Motorola can win. what is the SAR value of Moto G2? Anyone know it\'s SAR value? what is the operating frequency of moto g2? what is the display size in inches of Moto G2? What is the main difference between Moto G and Moto G2 ? Is MOTO-G is the best phone @13K ?